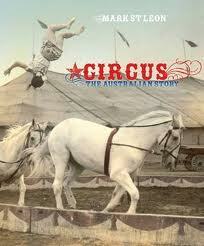 State Library Victoria – Life’s a circus on our New Books shelf! Life’s a circus on our New Books shelf! Mark St Leon has been researching the circus in Australia for over 40 years now, inspired by his own family’s extraordinarily long history in the entertainment and circus worlds. This marvellous volume, a fitting tribute to his family’s heritage and his personal dedication to it, is one of those books that you need to pick up and open with great caution, particularly if you’re supposed to be doing something else; fortunately I can claim it as work. The history of the circus in Australia is fascinating and the photos, drawings, posters, advertisements and documents he brings together to help tell that story are utterly beguiling! I wonder if it’s too late for me to run away to the circus? 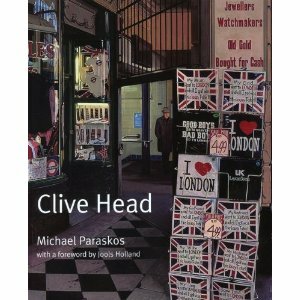 Clive Head’s reputation as one of England’s most important contemporary realist painters has been growing progressively over the last few years, and this survey of his work demonstrates an approach to urban landscape painting that places him directly in line with past masters of that genre. The author raises the issue of the relationship between this type of hyper-realism and photography, and is at pains to point out that Head’s work is not “photographic” in that it plays with space and perspective in order to create images that are specifically not based on photographs; indeed the case is made that his work contains strong elements of Cubism. You might have to make up your own mind on that one. It’s interesting in the area of film and television studies to see how quickly some works achieve a life beyond themselves, their artistic, cultural or social resonance making them fair-game for investigation and re-evaluation. 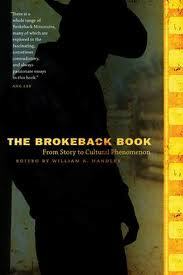 Based on an already well known and much loved short story, Brokeback Mountain was always going to be in the running with its “queering” of the western film genre, and this collection of essays demonstrates director Ang Lee’s assertion that “there is a whole range of Brokeback Mountains”. It can be a bit of a relief to come across a biography of a musical “worthy” such as Brahms that isn’t in 3 massive volumes and crammed full of impenetrable musical examples (sacrilege I know). There is however an art to encapsulating a crowded and important life in a compact manner, and this Hans Neunzig certainly manages to do in this extremely readable and informative guide to the great man’s life and works. Quoting liberally from Brahms’ own writings as well as those who knew him, the author creates a really endearing portrait of a man who can, in less skillful hands, appear as confronting as his terrifying beard! Think I’ll go and listen to those wonderful symphonies again; you can too via the Naxos Music Library if you’re one of our registered customers. 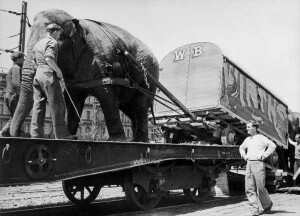 And of course, something from our Picture Collection; elephants and trains, what more do you need?